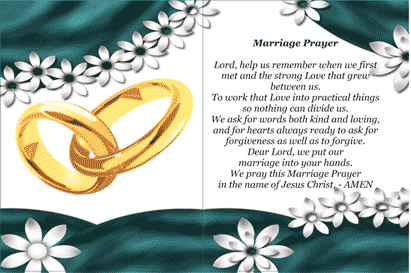 Two wedding rings interlock on a background of white flowers and blue-black silk curtains in this free church printable holy card. A marriage prayer decorates the opposite page of a perfect matrimony favor or gift. and for hearts always ready to ask for forgiveness as well as to forgive.